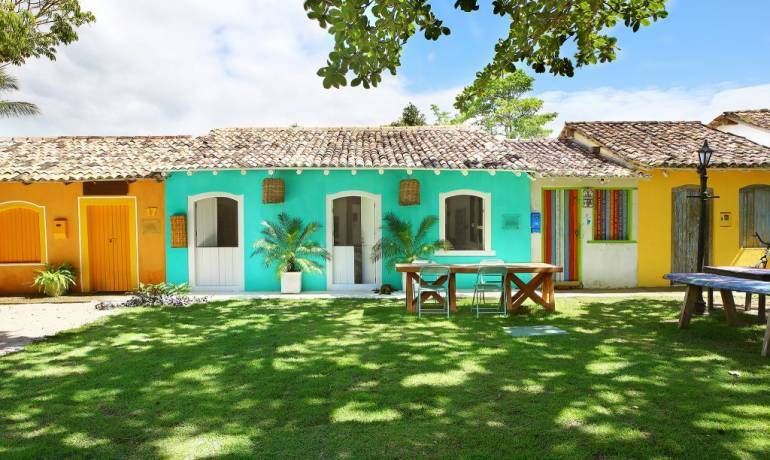 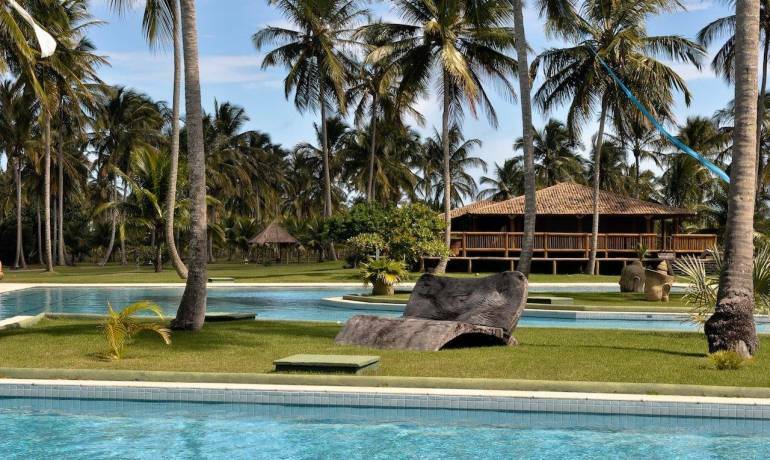 The same owner and neighbor of Villa 17, this charming house is located in Praia de Itaquena between the Quadrado and the beautiful, deserted beach Itapororoca. 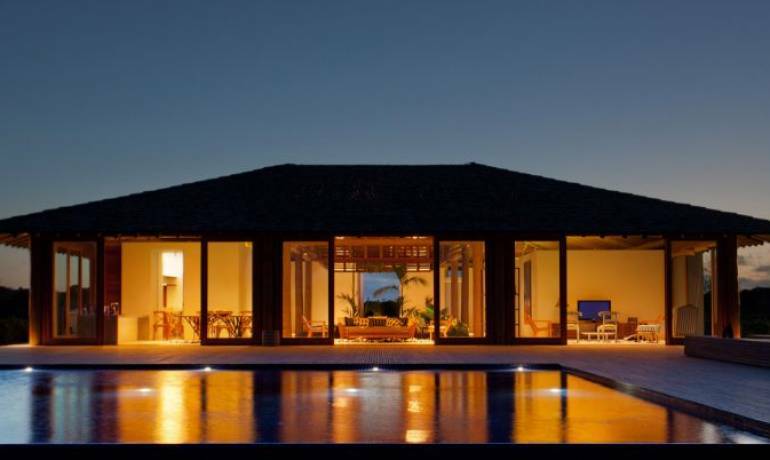 Right on the beach, “foot-on-sand”, this Villa has very complete service and a swimming pool in a beautiful garden overlooking the sea. 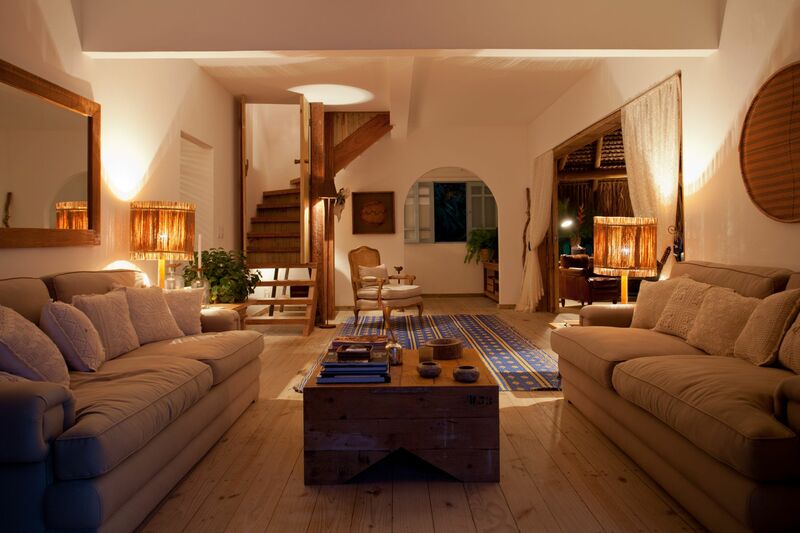 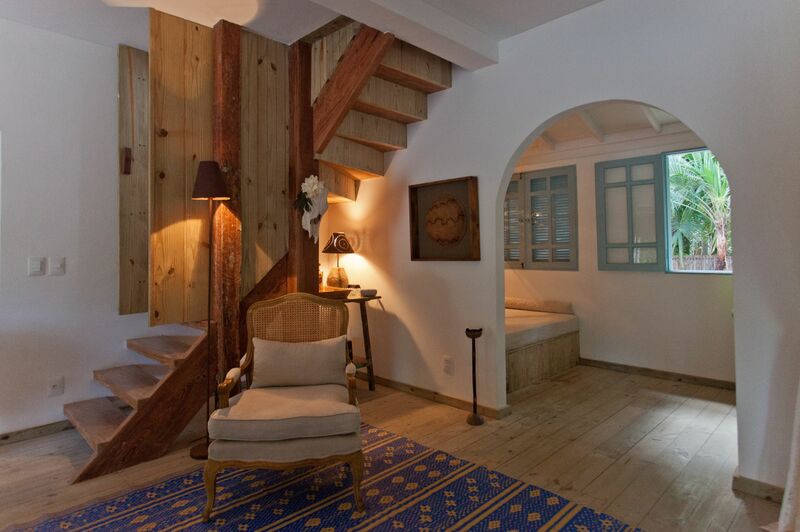 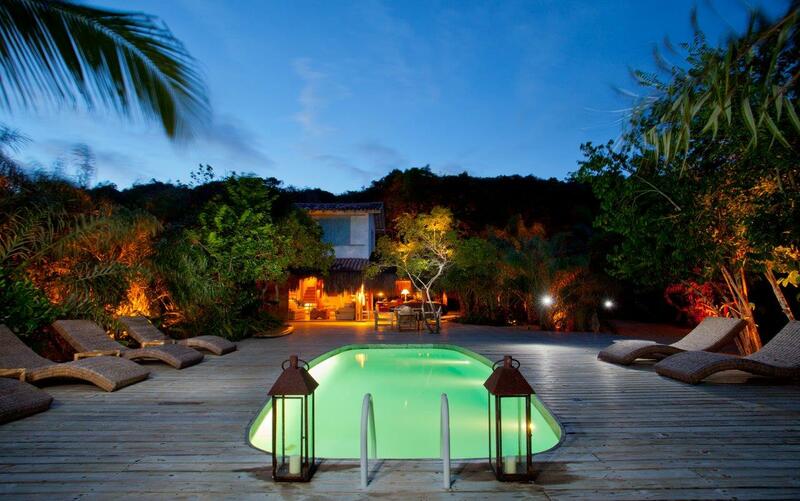 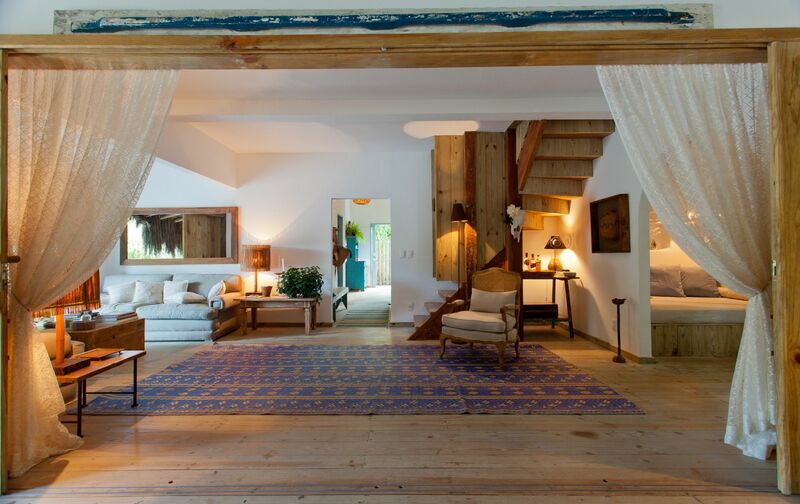 The rustic style of this chic Villa enchants every guest. 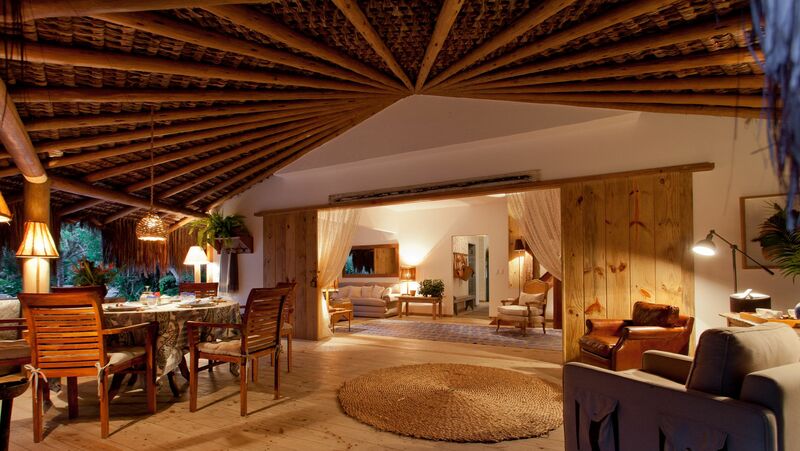 Can be rented with Villa 17, thus becoming an 8-bedrrom property. 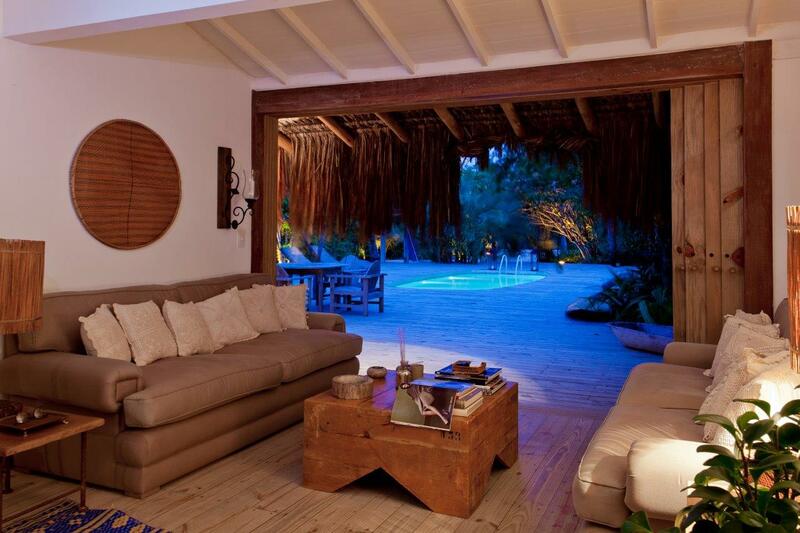 Villa 25 is located by the beach, 5 minutes drive from the Quadrado.